In an age of tolerance where political correctness is the moral guideline, the God of the Old Testament is, in many people’s view, angry, discriminating against women and overtly prejudiced. Because of such misconceptions, worshiping, following and submitting to God is a chore many people are unwilling to embrace. 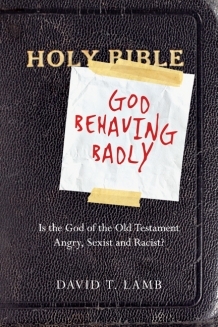 David T. Lamb, associate professor of Old Testament at Biblical Theological Seminary in Hatfield, Penn., attempts to dismantle these misconceptions in his newest book, God Behaving Badly: Is the God of the Old Testament Angry, Sexist and Racist?